Mercedes-Benz will officially reveal the 2020 GLS Class next week at the New York Auto Show, but that hasn’t stop the new big Benz from leaking out. 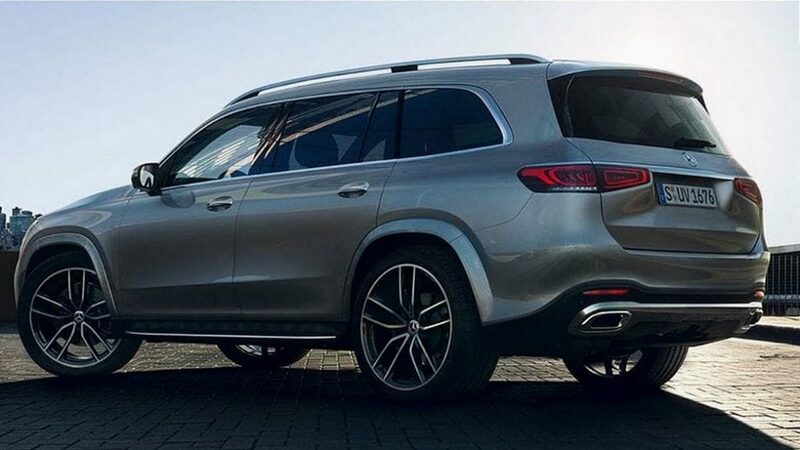 Official photos have surfaced online, confirming the GLS is basically a larger GLE Class. From front to back, the GLS looks a lot like the 2020 GLE, which comes as little surprise given the two share the same MHA platform. The GLS does feature a boxier greenhouse design, an attempt to hide some of its massive proportions. This GLS is just over two inches longer in wheelbase than the current model. The longer wheelbase will certainly aid in second and third row legroom. Inside, the GLS also borrows the GLE’s dashboard design, which isn’t a bad thing given its fairly attractive in the smaller SUV. Mercedes has not officially offered any details regarding the GLS powertrains, but we fully expect the company’s turbocharged 3.0-liter inline-six and 4.0-liter V-8 units to make an appearance. Both will likely be paired to Mercedes 48-volt electrical system, meaning they will effectively be mild hybrids. 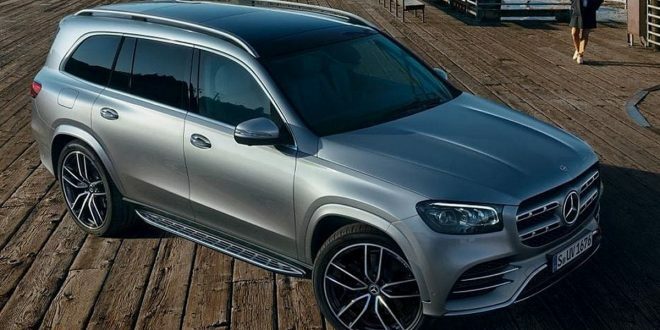 Expect to hear all the details on the 2020 Mercedes-Benz GLS next week during the New York Auto Show.